An inspiring new book for Kinfolk readers and anyone looking to forge their own professional path, The Kinfolk Entrepreneur arrived on my doorstep late last week, perfectly timed for the weekend. 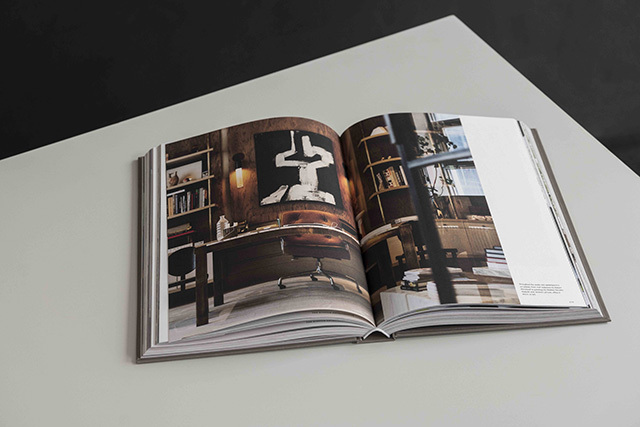 Visiting more than 40 creative business owners from 16 countries across the globe, the beautiful book offers an inspiring in-depth look behind the scenes of their lives and their companies. 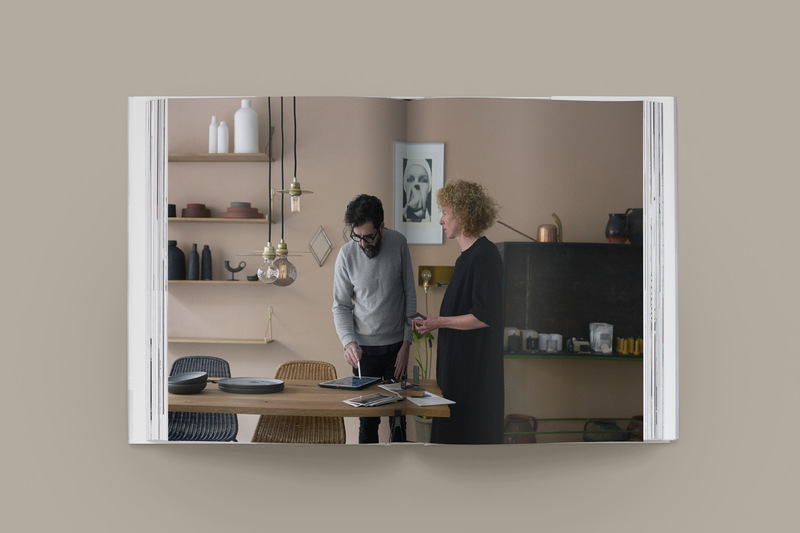 Pairing insightful interviews with striking images of these men and women and their workspaces, The Kinfolk Entrepreneur highlights the personal side of the business. With profiles of both budding and experienced entrepreneurs across a broad range of industries (from fashion designers to hoteliers) in cities across the globe (from Copenhagen to Dubai), the book provides an insight into how today’s industry leaders handle both their successes and failures, achieve work-life balance, find motivation in the face of adversity, and so much more. Included in the press release from The Kinfolk Entrepreneur publisher Artisan Books, I received 'A Conversation with the author Nathan Willliams' which I enjoyed reading prior to getting stuck into the book. Director of Kinfolk, Nathan is also author of international bestsellers The Kinfolk Home and The Kinfolk Table. Here's an excerpt from the interview. What inspired you to write a book about entrepreneurship? Examining quality of life and the balancing act required to sustain it is a core tenet of Kinfolk. 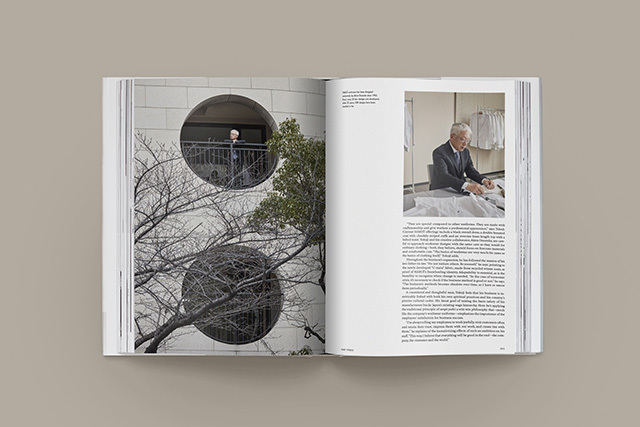 The Kinfolk Entrepreneur was conceived as a natural extension of one of our editorial cornerstones: work. We've studied the working life through many different lenses in our magazine, and our readers continue to show a strong interest in the topic. our Spring 2015 Entrepreneurs Issue remains one of the most well-received and top-selling issues to date. How did you decide who to feature in the book? The entrepreneurs range from up-and-coming fashion innovators like Damir Doma to experienced architectural icons such as Sophie Hicks and Joseph Dirand. We compiled a roster of the individuals who speak most directly to our own entrepreneurial drive as a team, while ensuring that each profile would illustrate how the pursuit of meaning and passion, and the experiences of disappointment and defeat, can motivate both professional success and a balanced quality of life. 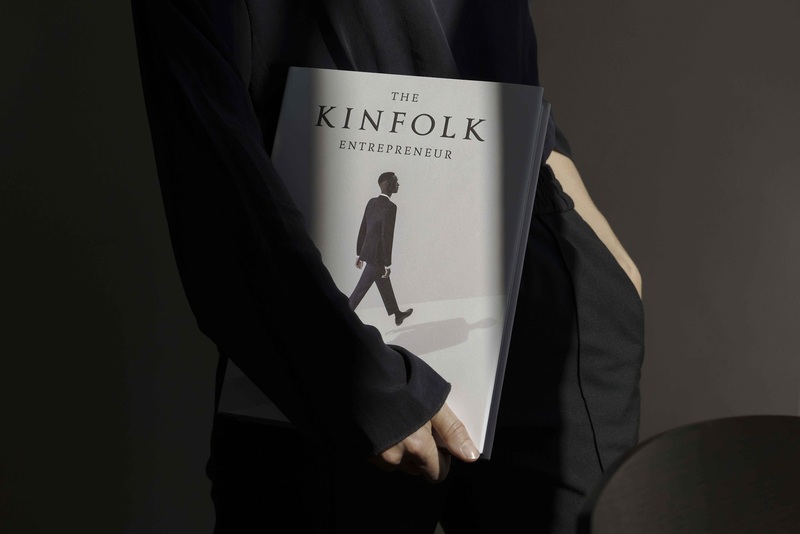 In the Kinfolk Entrepreneur you say "becoming a successful entrepreneur extends beyond the strength of one's ideas and the ability to profit from them." What are the other important markers of success for you? The first layer of a successful entrepreneur is practical: the ability generate profit from an idea in the marketplace. The second, more elusive layer is relational with one's self and the surrounding community: to offer design solutions that improve living, to continue a heritage merk as family legacy or to simply find a creative way to sustain one's self doing exactly what they dreamed of doing. 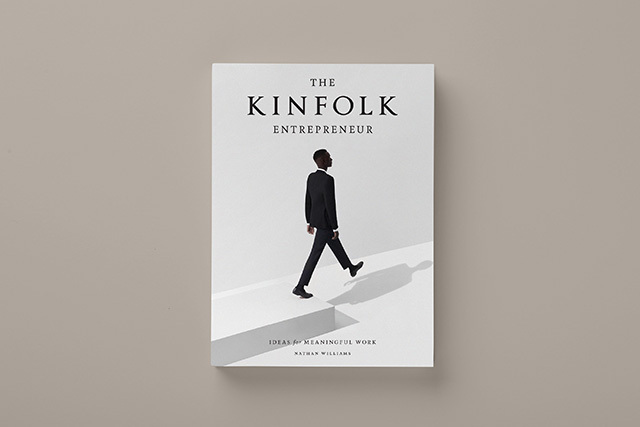 The Kinfolk Entrepreneur introduces readers to visionaries from around the world who have achieved more markers of success by creating a profitable business with a deeply personal connection to their work. 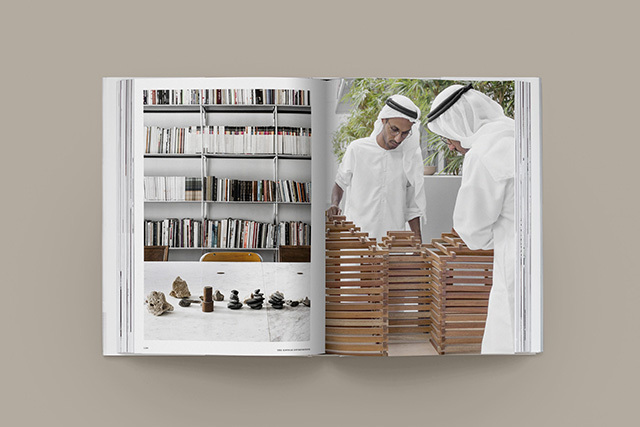 The book is divided into three categories; A Single Vision, The Power of Partnership and Creating a Community. The first shows how creative success can be highly personal and businesses can be established form a passionate singular thought leader. Profiles include Sophie Hicks, who, once an esteemed fashion magazine editor in the UK, combined her industry experience and artistic leanings with an architecture degree to become revered as "Fashion's architect", and Maayan Zilberman, a successful lingerie designer turned confectioner and founder of sought-after New York shop, Sweet Saba. The Power of Partnership includes some incredible creatives from the interior world who I have long admired. They include Alessandro D'Orazio & Jannicke Kråkvik of Oslo creative studio Kråkvik&D'Orazio and retail store Kollected By, Jeremy Anderson & Gabriel Hendifar of acclaimed New York design studio Apparatus, and Mette and Rolf Hay who founded the eponymous Danish furniture and accessories company Hay. Creating a Community profiles business owners who have taken creative risks for the sake of building a community around shared interest and ideals. The Final section of The Kinfolk Entrepreneur includes invaluable tips and resources on important topics like How to: Lead People and How To: Manage Mistakes, as well as notes on suggested reading, desk essentials and even must-have workday snacks. 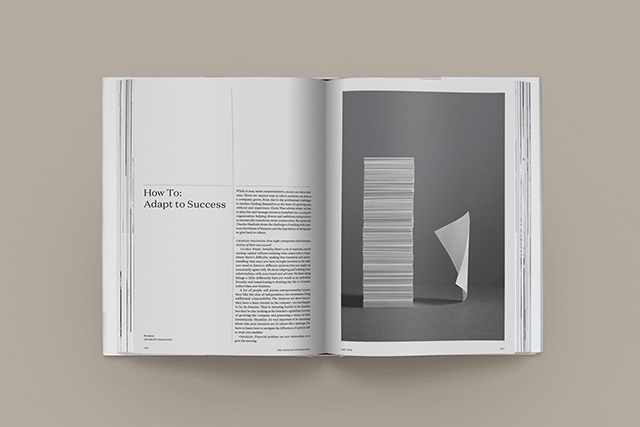 To finish, The Last Word features ten entrepreneurs giving their single-most important pieces of advice. 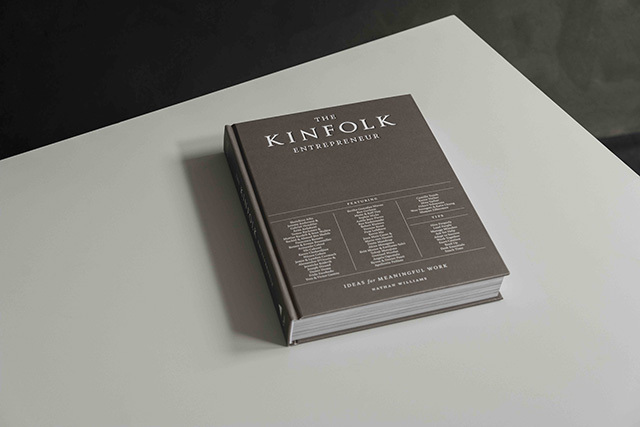 Published by Artisan Books, The Kinfolk Entrepreneur is a wonderful resource and beautiful addition to the Kinfolk Book Series. 0 Response to "The Kinfolk Entrepreneur: Ideas For Meaningful Work"